Throughout history, many species of animals have gradually disappeared from the Earth. Unfortunately, this process of extinction seems to be accelerating, as there are many endangered species today than ever before and experts give warning that their number is on the rise. Several manmade factors are pushing animals towards extinction; climate change, hunting and poaching, loss of habitat, pollution and a changing environment are among the most common. Believe it or not, this fearsome predator, revered by man for its power and beauty, is threatened with extinction. 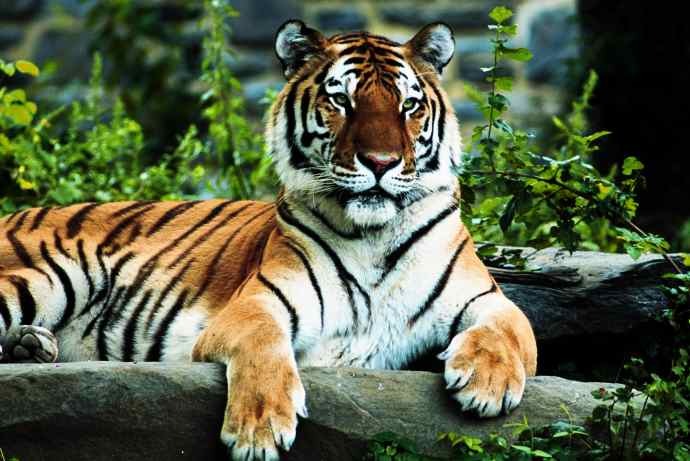 Apparently there are only about 3,200 tigers left in the entire world. Three subspecies are already extinct and the other 6 are all facing the same danger. Why? Poaching is one major factor and destruction of their habitat by deforestation is the other. If the climate continues to warm at the current rate, the polar bear, one of the most beloved species in the world, will soon face extinction. Although at present the population of polar bears is relatively stable, it will soon start decreasing if the trend of global warming is not reversed. and places it in danger of extinction. Climate change is again the reason why this species is threatened to disappear. The migration of fish caused by warming currents makes it harder for them to find food and could result in the extinction of the magellanic penguin. Although the species has survived for over 100 million years, these marine turtles, which live in the Pacific, are now on the brink of extinction. This is because, having to face numerous threats, many of their offspring won't be able to reach maturity. Are you surprised any of these animals made the list? It's amazing that there are still people who don't believe in Global Warming!